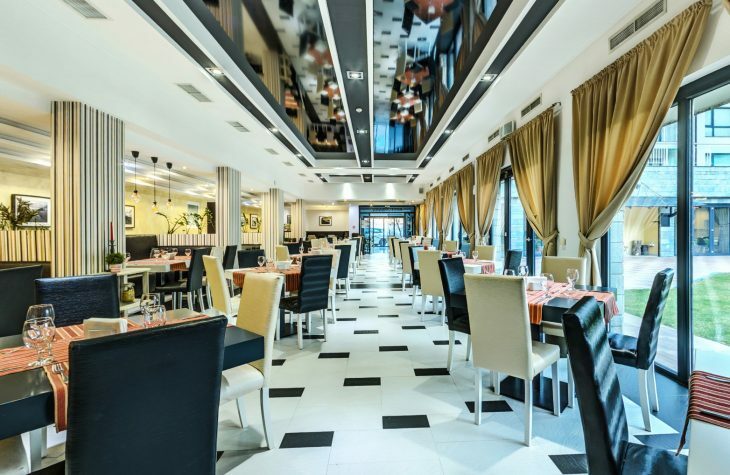 Saint George Palace 4* Apart hotel Bansko offers it all. It’s your vacation – enjoy it! Bulgaria has a long been a destination for spa holidays, with an abundance of natural hot springs. The Razlog Valley alone has over 70 hot springs. One of the best known is in Banya, just 5km from Bansko between the Pirin, Rila and Rodopi mountain ranges. 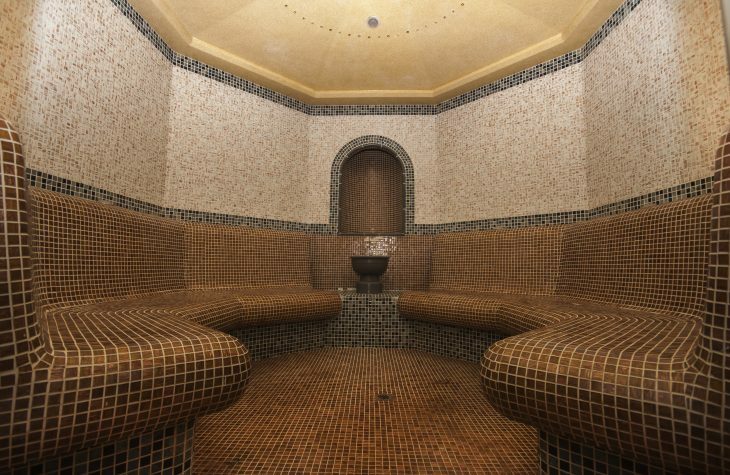 The healing properties of its natural hot mineral waters have been famous since antiquity. Оur qualified staff of professionals will ensure that you will get the very best of your relaxing holiday. An individual treatment can be developed according to your preferences. 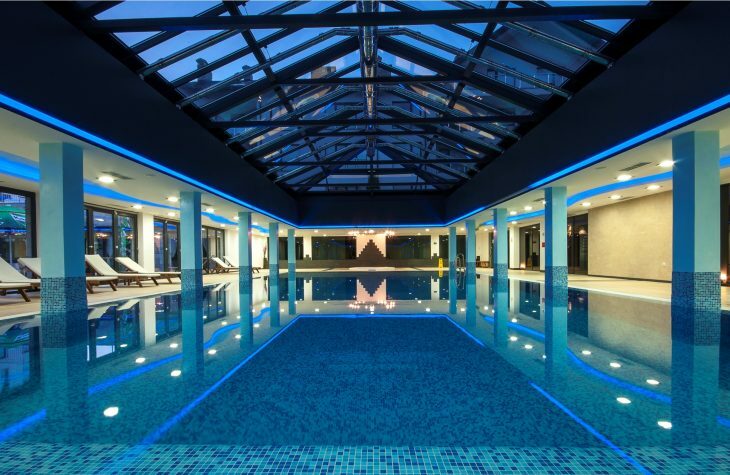 We also have one of the largest indoor swimming pools in Bansko. To preserve the astonishing views, the pool is covered by a glass dome. On a clear day the mountains are visible. In the summer months, we open the French doors to the sundeck and piazza where you can top up your tan and enjoy our outside bar. 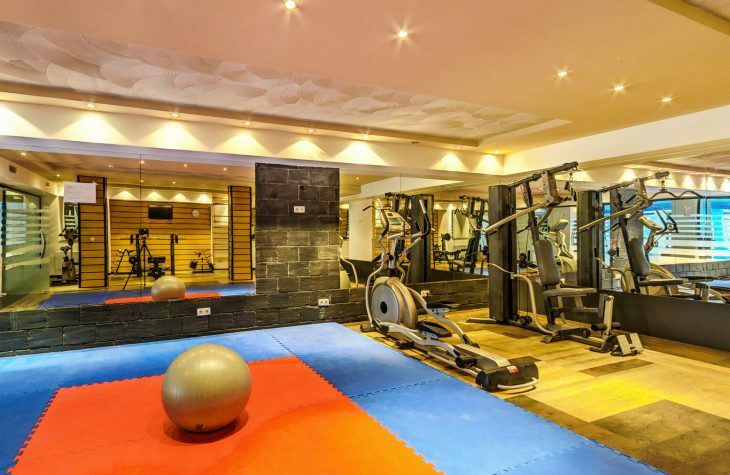 Designed in a modern style, with a full range of fitness equipment including cardio machines and free standing weights so you can work out in a cool, comfortable environment. Changing facilities, showers and lockers are available in the center. The Saint George Palace Restaurant offers a great alternative to dining out in town, for those days when you just want to take it easy. We offer an extensive menu of local and international dishes, all cooked to order by our in-house chefs. We also offer freshly baked pizza and lighter options, as well as room service. 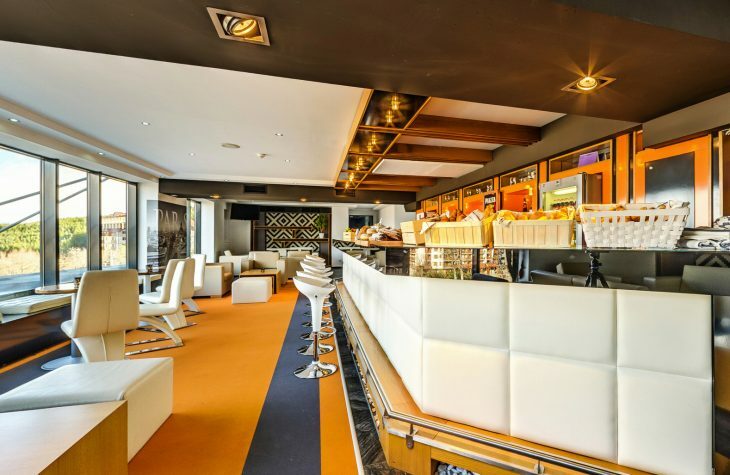 The stylish Sky Bar is a great place to relax after a day on the slopes or walking in the mountains. Sit back and enjoy a cool drink or a warming hot chocolate, whilst planning the next day’s adventures (our concierge can help you with bookings). 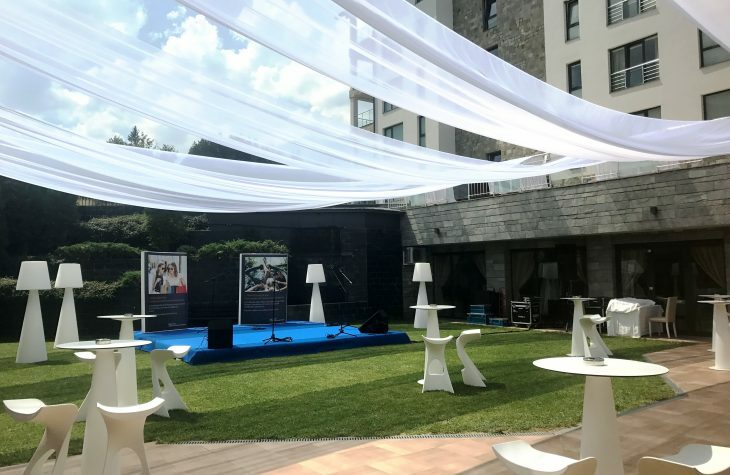 For a change of scene, make your way up to the Sky Bar with its breathtaking views over Bansko to the valley and mountains beyond. Bar Ascalon is the latest addition to Saint George Palace. 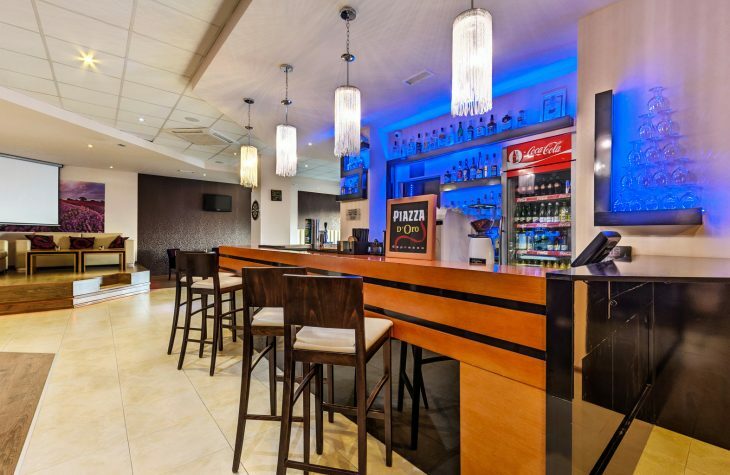 You can enjoy playing billiard,foosball and computer games there while having a refreshing coctail. 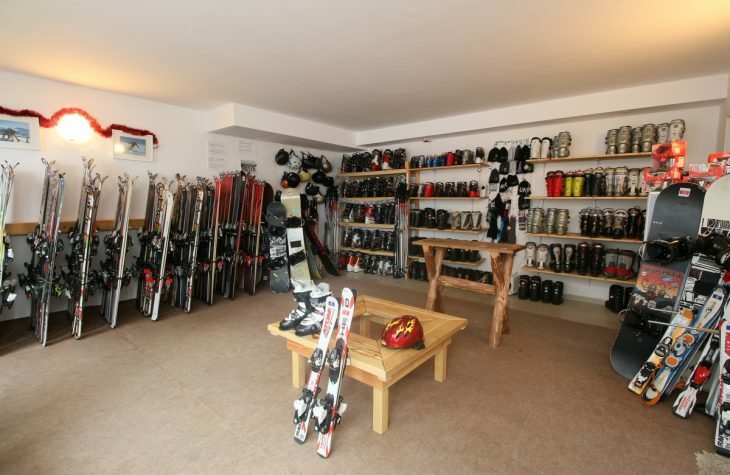 We have an in house ski hire centre offering you the convenience of a full service under one roof courtesy of our partnership with Swiss Ski & Board Rent.